"You'll Always Find Your Way Back Home" is a country pop song written by Taylor for the 2009 film "Hannah Montana: The Movie". The song is performed by Hannah Montana, a character Miley Cyrus portrays in the film. A karaoke version of the song is available in the soundtrack's karaoke series. The song is musically country pop and pop rock. Lyrically, the track is about staying grounded and going back to one's roots. The song received critical success for its use in the film. "You'll Always Find Your Way Back Home" was met with average-to-low commercial outcomes for Cyrus in several countries, compared to those of her previous efforts as Montana. It reached its highest international peak in the Canadian Hot 100, at number thirty-six. The song received a music video to coincide with the home release of "Hannah Montana: The Movie". 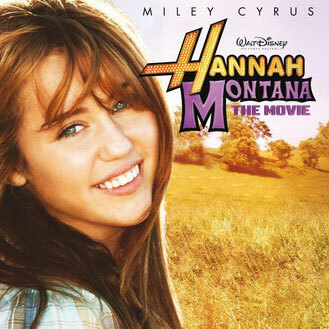 "You'll Always Find Your Way Back Home" is used as the closing number of "Hannah Montana: The Movie". In the film, Cyrus performs as popstar Hannah Montana onstage at an outdoor fundraiser to save her hometown's treasured park from developers. More than 2,000 extras were used to film the scene. "The Best of Both Worlds" and "You’ll Always Find a Way Back Home"." James Plath of Dvdtown.com described the song as being "integrated pretty well into the narrative". Peter Canavese of Grouncho Reviews said "the story makes way for [...] "You'll Always Find Your Way Back Home", which would attract "the film's target audience of pre-teen girls". Warren of Truitt of About.com listed the song as the third best song by Hannah Montana. The song was included on the short list for "Best Original Song" at the 82nd Academy Awards. You wake up. It's raining and it's Monday. Looks like one of those rough days. Time's up! You're late again so get out the door (get out the door). Sometimes you feel like runnin'. Find a whole new life and jump in. Let go, get up and hit the dance floor. When the lights go down, it's the ending of the show! And you're feeling like you got nowhere to go. And you can change your clothes. You can say goodbye and you can say hello. But you'll always find your way back home. You can change your jeans. And you can chase your dreams. This girl is thinking a maybe. I always got a place where I can go. You know it's never too far away. You can change your clothes. You can laugh and cry. You'll always find your way. You'll always find your way (back home) back home.